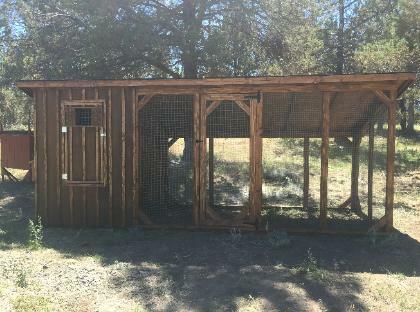 Coop Y or T in 3x4 Coop w/4x8 walk~in pen. Total footprint is 4x11. 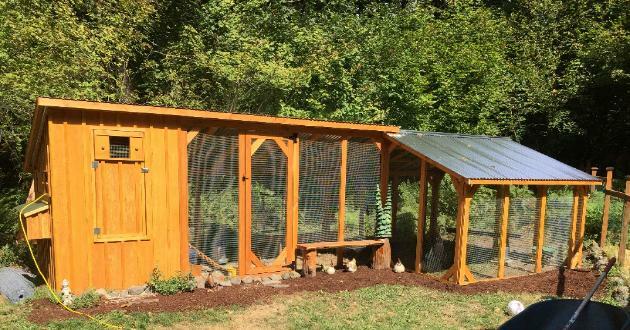 $1520.00 Will hold 6 laying hens. 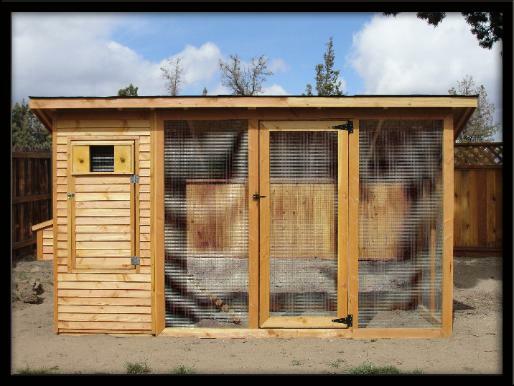 Coop Y or T in 4x4 Coop w/4x10 walk~in pen. Total footprint is 4x14. $1640.00 Will hold 8 laying hens. Delivery is included in the price above. Central Oregon area only. 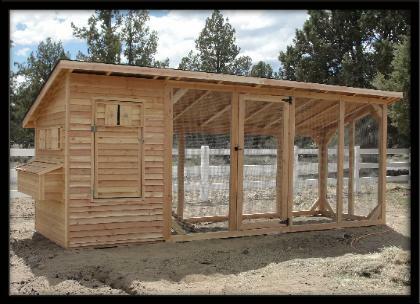 Quality Chicken Coops Made Locally! 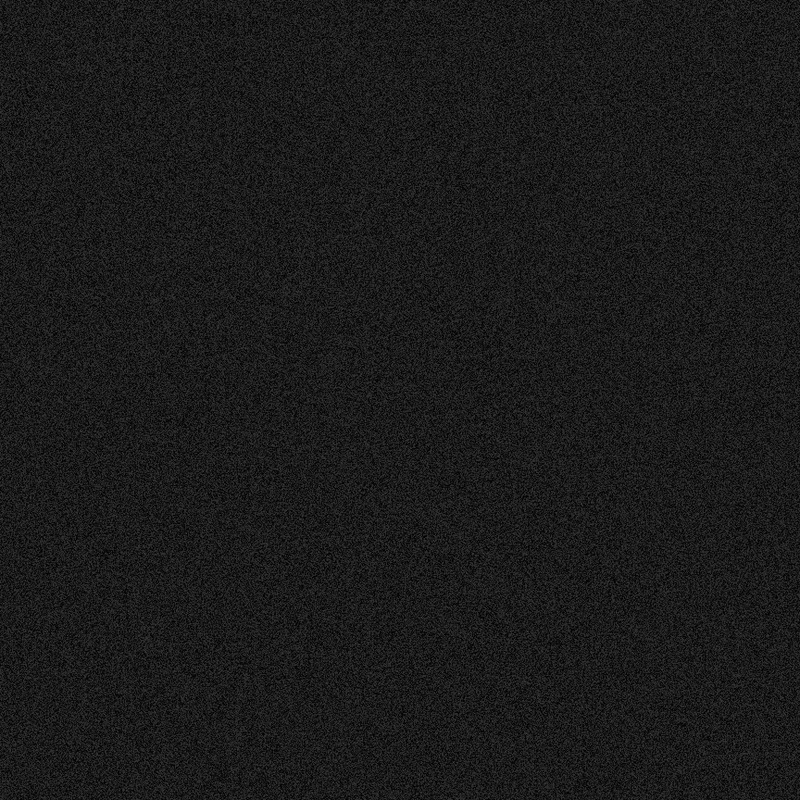 Total pen square footage is 192.